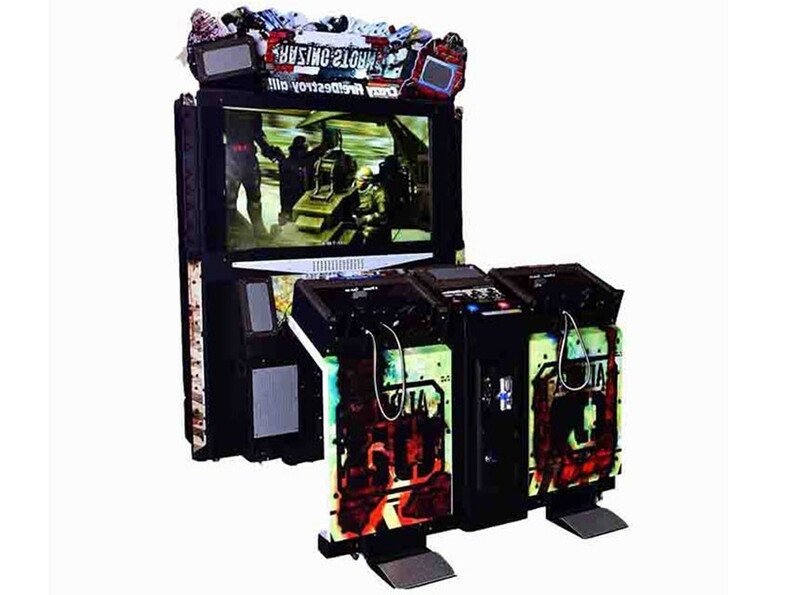 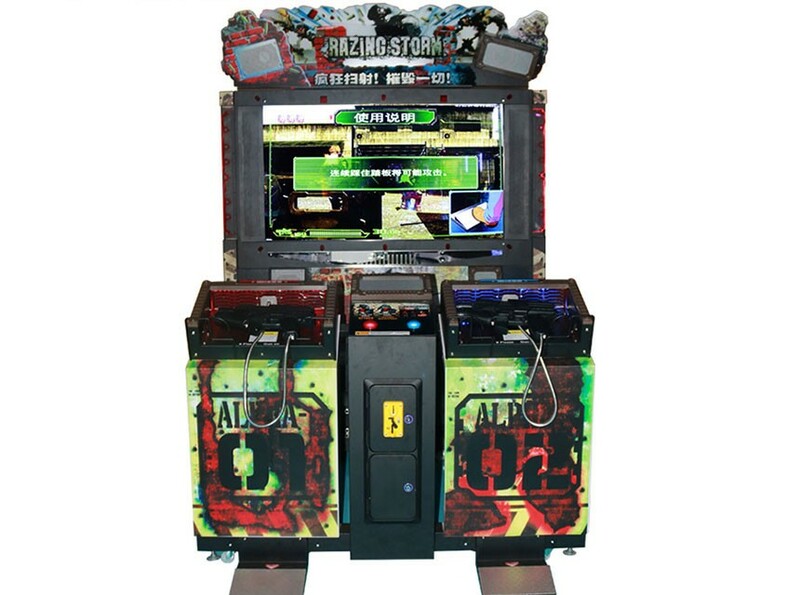 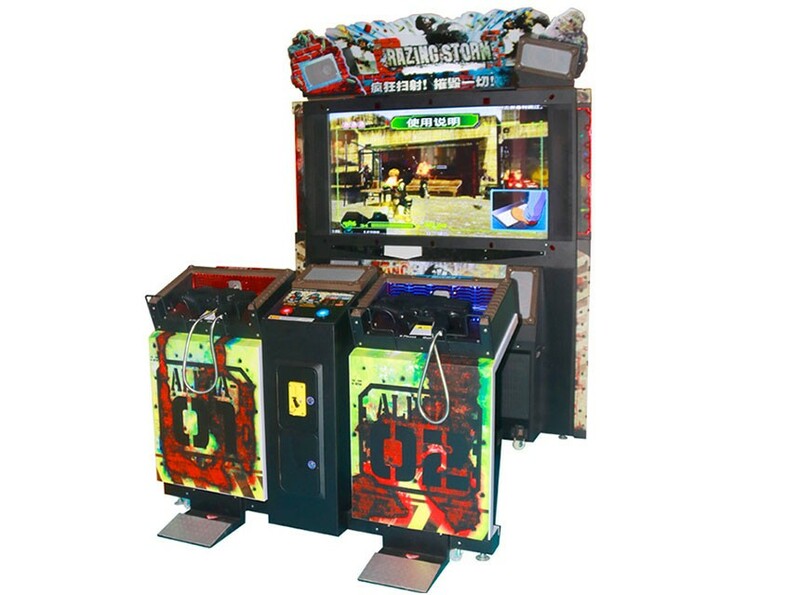 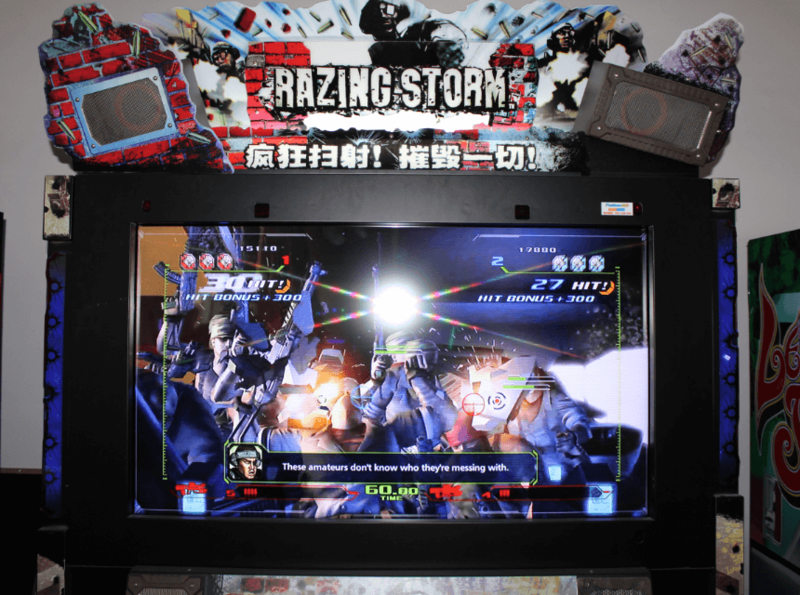 1) "Razing Storm" is released by NAMCO. 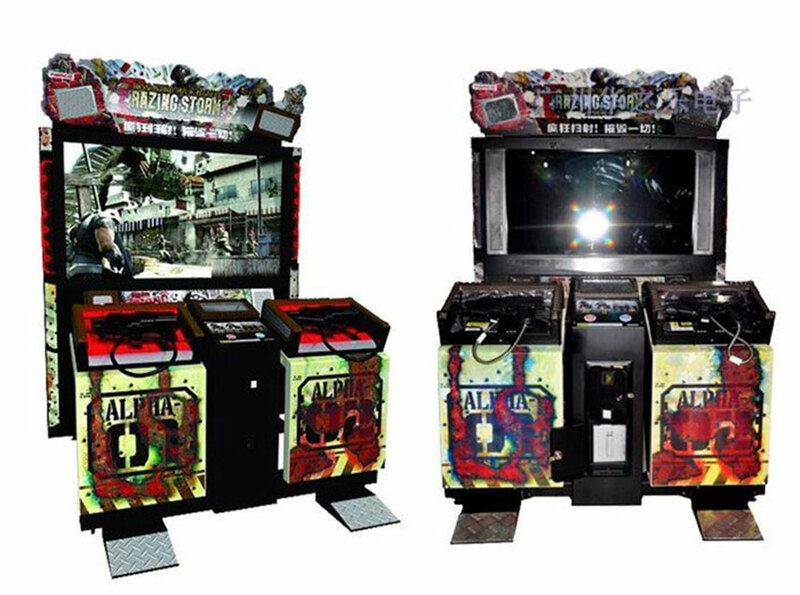 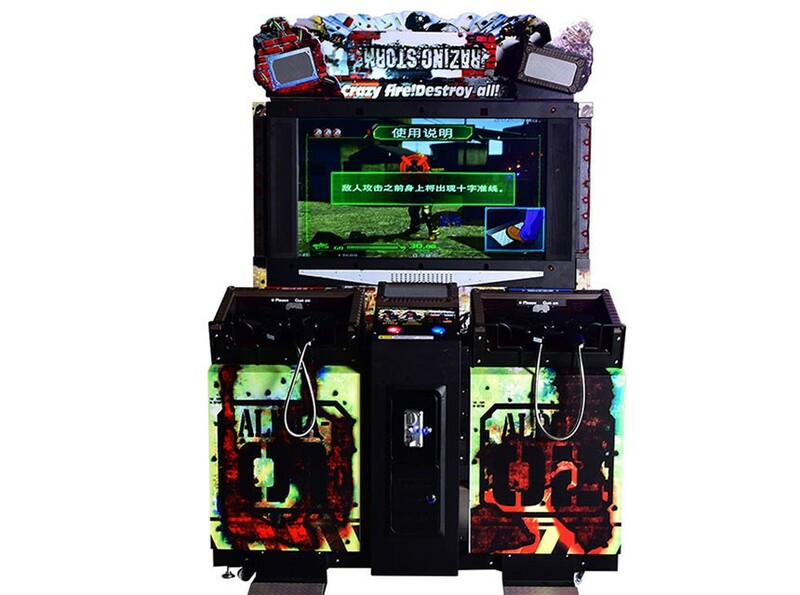 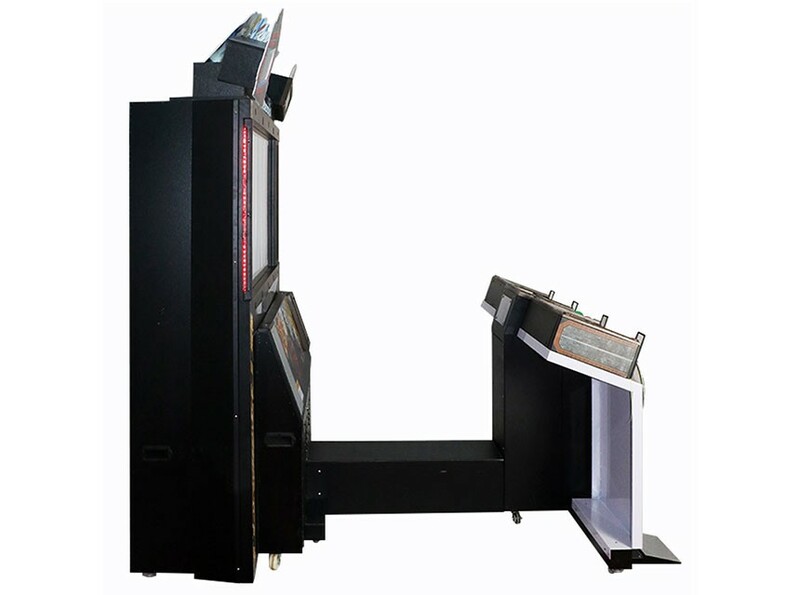 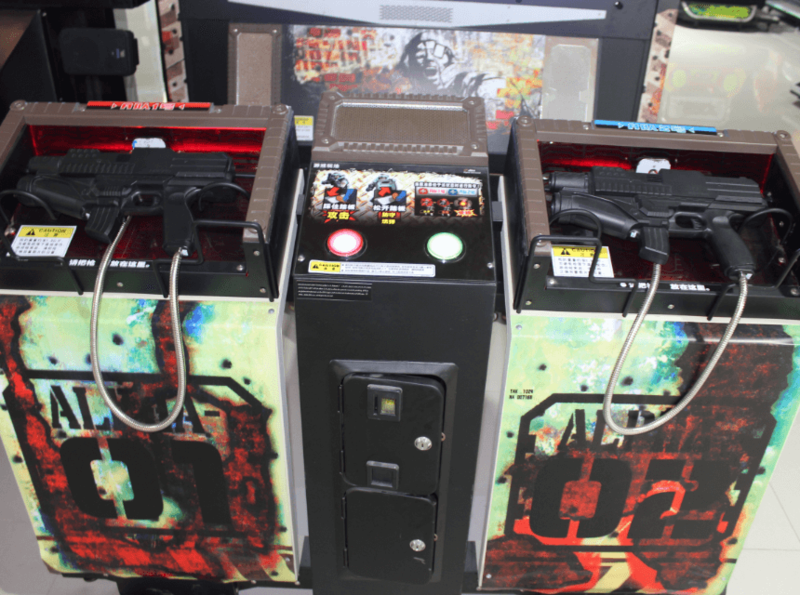 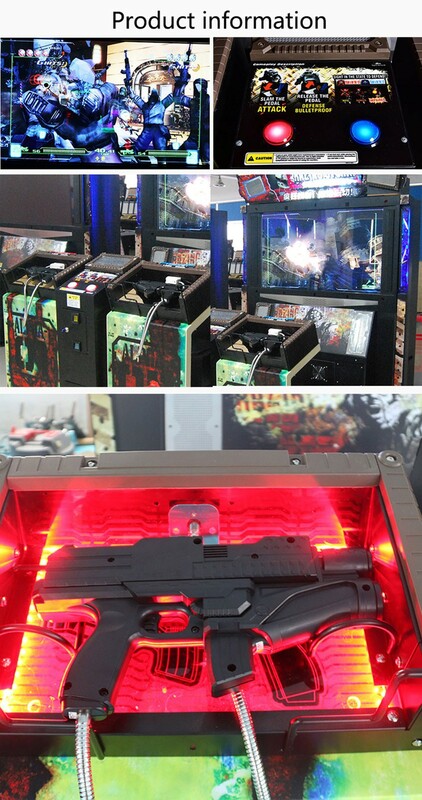 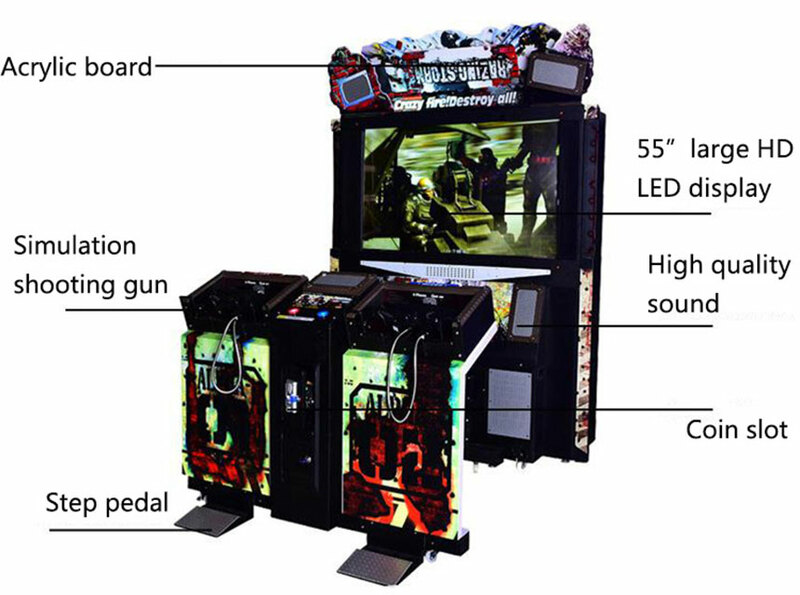 2) It is an attack after destroying large fire machine guns as the theme of the original light gun shooting game. 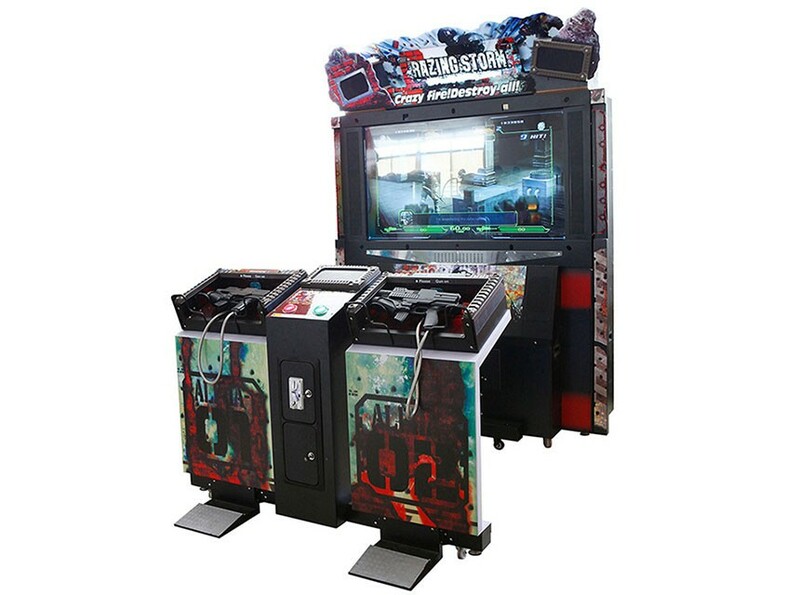 3) With the same footboard reloading system, and many new elements is added.It comes with a more powerful machine gun artillery in game, not only suffered heavily armoured soldiers, will encounter a lot of bulky mechanical enemies, and most of the buildings.